RESERVED for Tania. 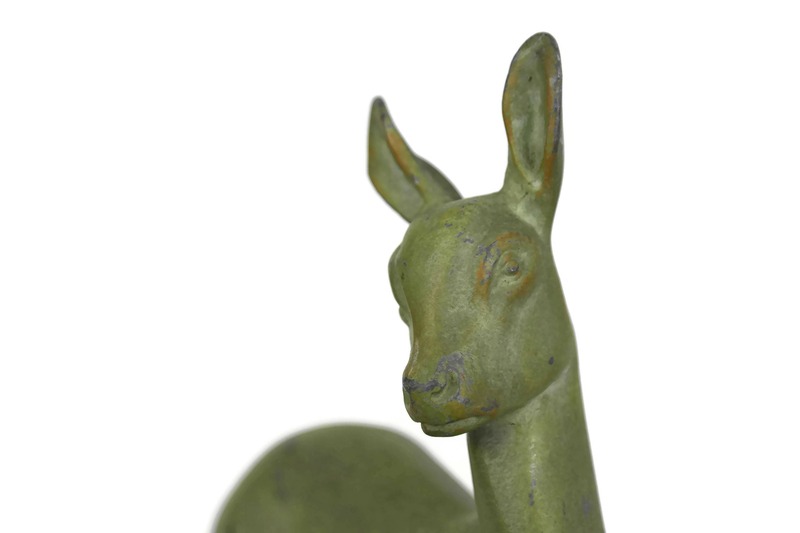 French Art Deco Deer Figurine. Woodland Art Fawn Statue. 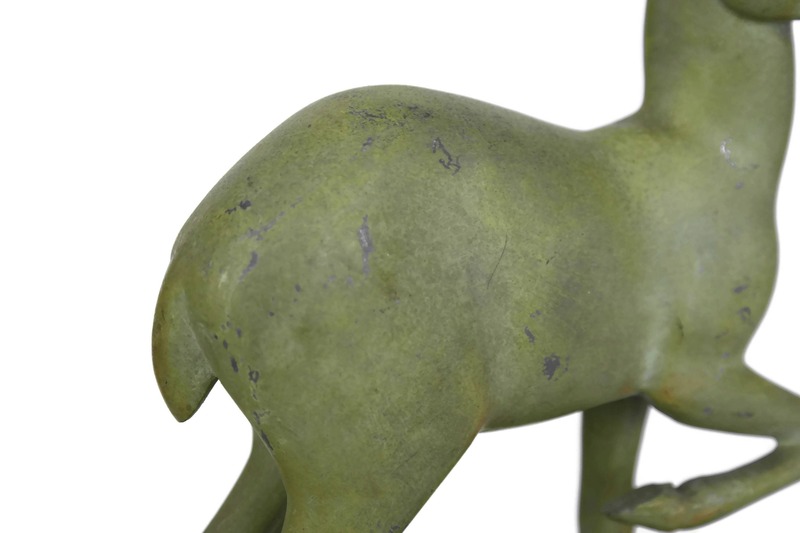 Vintage Bambi Figurine. Animal Lover Gift. 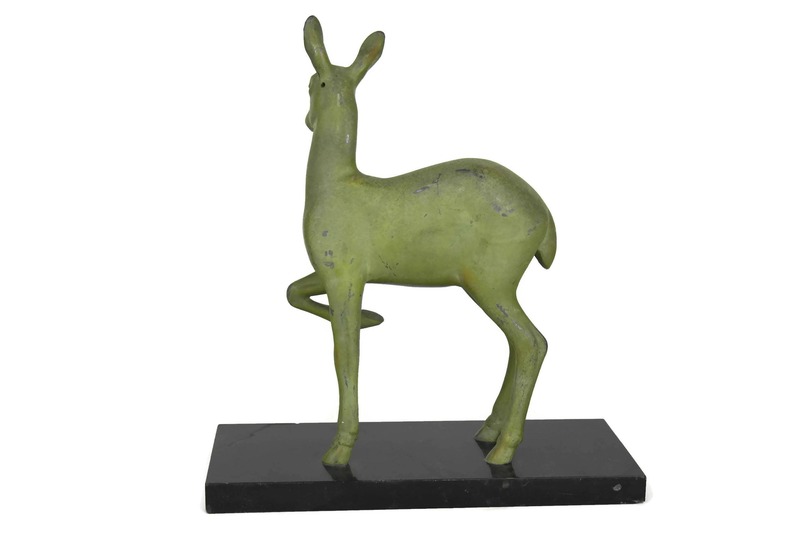 Deer Art Statuette. 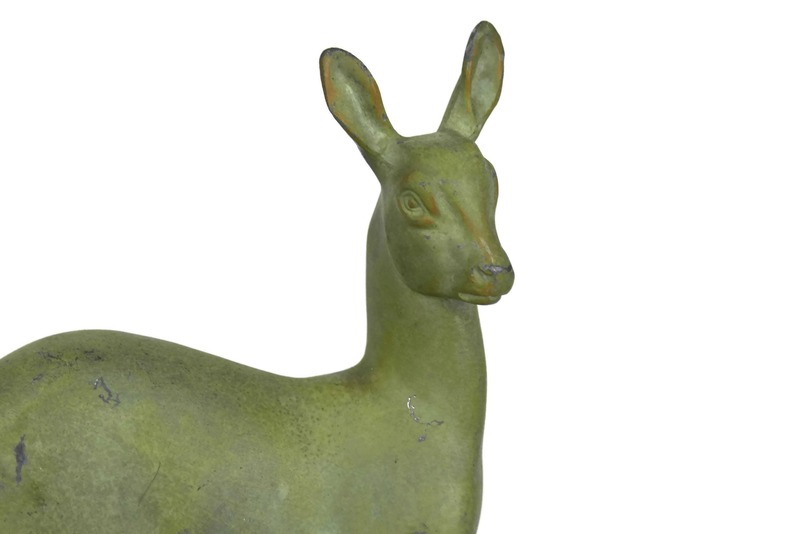 A beautiful Art Deco deer figurine created in France during the 1940s. 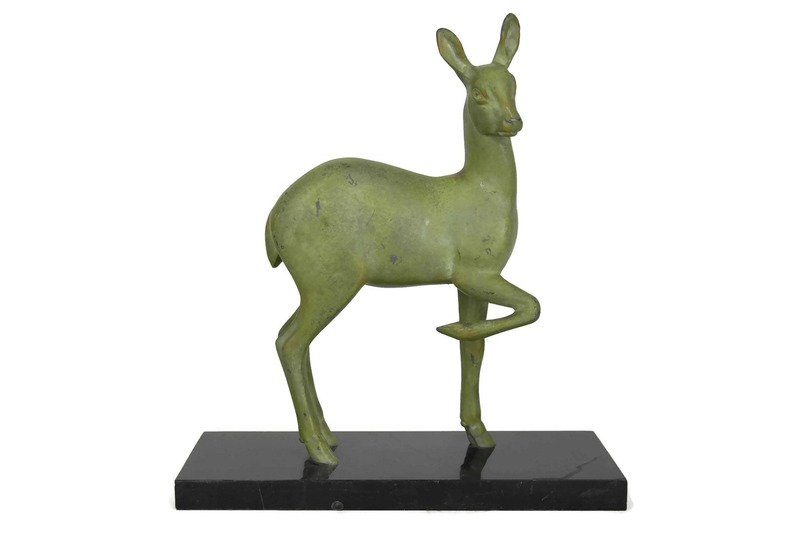 The fawn statue has been cast from spelterware and decorated with an aged bronze patina. 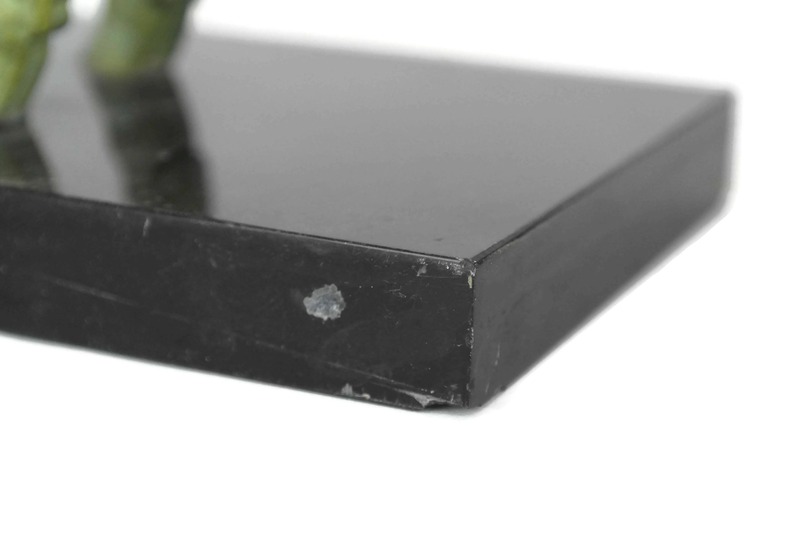 The deer has one raised leg and is attached to a polished black stone base. 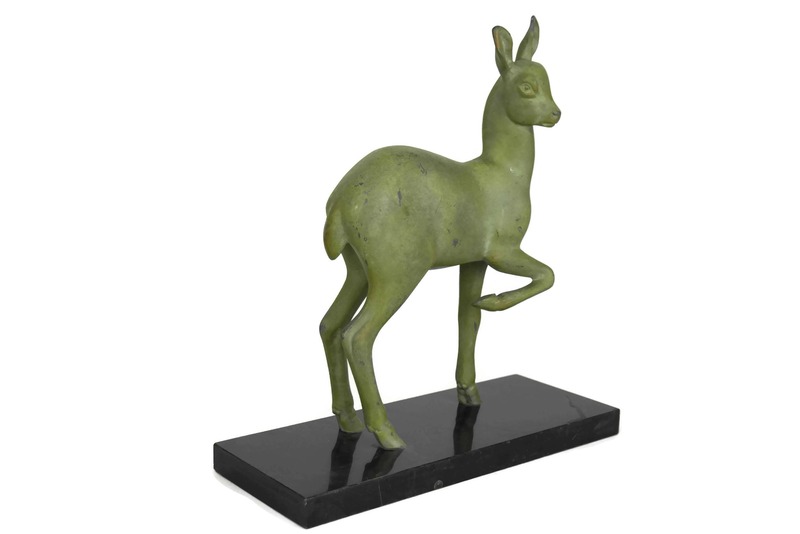 The deer art statuette measures 11" Long x 12" Tall x 4 1/2" Wide (28 cm x 30 cm x 11 cm). 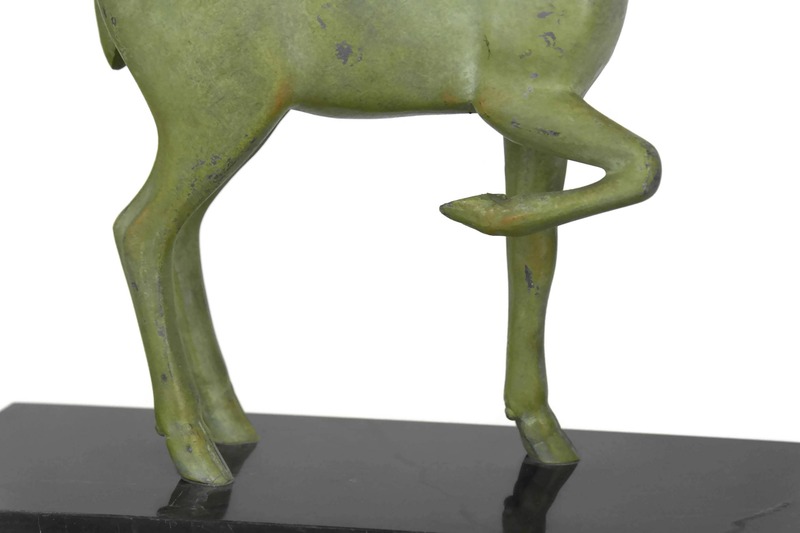 The Art Deco deer figure is in very good vintage condition with light wear including surface marks and scatches to the bronzed patina. There is a small hole behind one of the deer's ears dating fom the time it was created. 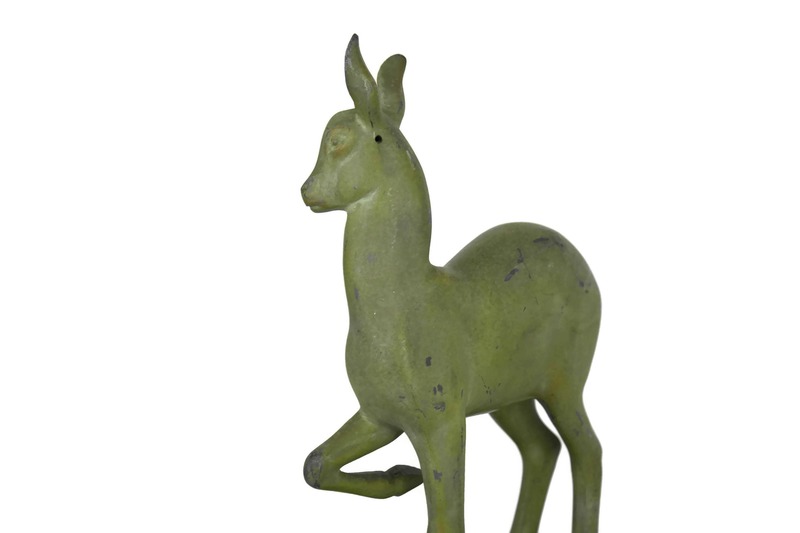 Item ref: French Art Deco Deer Figurine. Woodland Art Fawn Statue. Vintage Bambi Figurine. Animal Lover Gift. 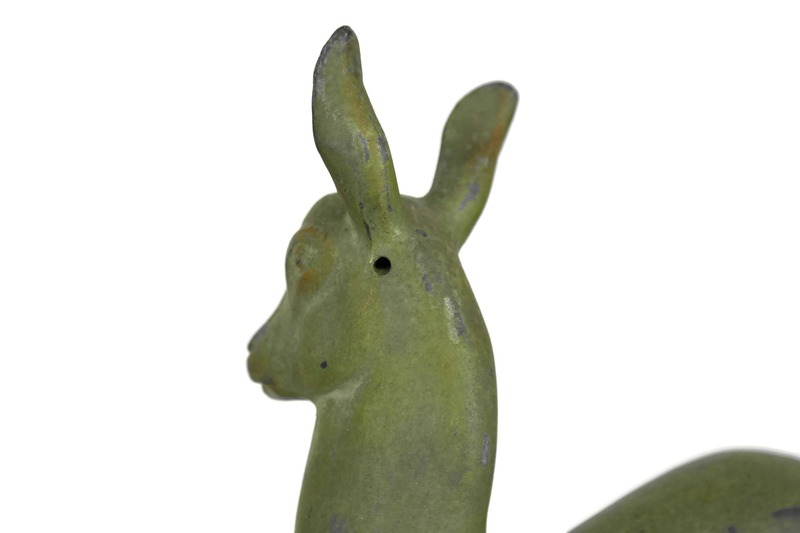 Deer Art Statuette.